We here at MP1st hope many of you are enjoying the early access to the Battelfield 3 Beta. We know the rest of the world will on the 29th. Since the game is still in it’s Beta stage, you will most likely notice a few bugs and glitches here and there. Or, perhaps you will find that certain weapons or classes should be balanced differently. DICE has already stated that their main resource for feedback will be within the forums of the Battlelog, however, Ian Tornay, Community Manager for Battlefield 3, has also set up a reddit page that everyone should know about. Here, fans can also list bugs, glitches or other issues found within the Beta. Make sure to follow the instructions given at the top of the page for the best results. It’s now our job, as the Battlefield community, to help DICE make Battlefield 3 a better game by giving them our honest feedback. 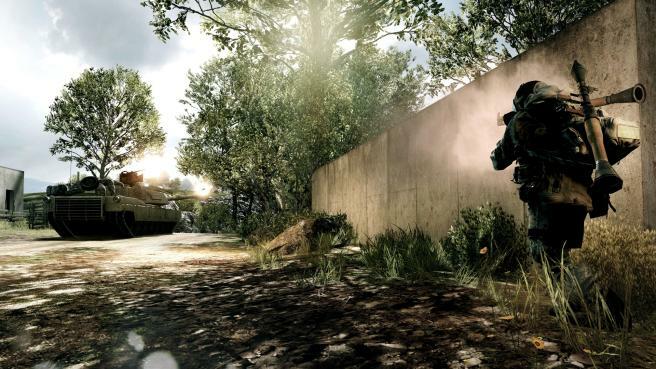 Together, we can help shape Battlefield 3 to be one of the best shooters of our generation. 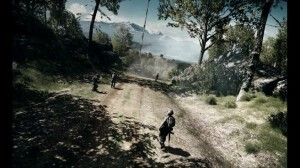 In an interview with Edge, Patrick Liu, a Battlefield 3 Producer at DICE, spoke about multiplayer details, balance, and changes made to the game since the Alpa. Of course, one big change to Battlefield 3’s classes that many of you may have noticed by now, is the reversed roles of the assault class and support class (formerly the medic class). These are changes which so far, seem to be working quite well and have added a new dimension to Battlefield 3. Liu explains, “We’ve been rebalancing all classes overall, so the Assault class has the medic abilities now – the defibrillator, med-pack and so on. The Support class has become much more distinct with the suppressive feature.” You may have also noticed many of the shiny new toys the Recon class will be receiving in Battlefield 3. Could this change the way snipers are played? “Recon is actually much more about doing reconnaissance rather than being a sniper – finding out information about the battlefield for the rest of the team and countermeasures against snipers.” How do you feel about all these changes made to the classes of Battlefield 3? Liu also spoke of the many changes made to Battlefield 3 since the Alpha trial. The biggest difference that DICE seems to be quite proud of is the change they made to the spotting system. “In the Alpha you could spot people through bushes and vegetation; you could basically just look at the markers and shoot that without actually seeing them, but that’s completely changed now.” Do you think these changes have worked out so far? Liu also detailed some of the things DICE has learned since the Alpha and applied to the Beta. “The Alpha gave us a large amount of data – we were tracking telemetry and how many kills each weapon has and so on. Based on data we can do a lot of useful tweaks to the weapons.” Do you feel that the weapons of Battlefield 3 are balanced, or could they use more tweaking? Let us know your thoughts in the comment section below! Don’t forget to follow @MPFirst on Twitter for more Battlefield 3 news!